Boeing's B-17 Flying Fortress has become one of the great icons of aviation history. The type's longevity has seen it perform a myriad of roles during its flying career - indeed, several examples still fly today, serving as live monuments to a time gone by. Bombardment Groups chapter includes many tail insignia, and Nose Art chapter. 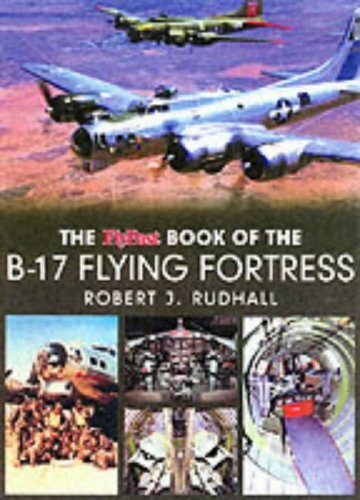 The FlyPast Book of the B-17 Flying Fortress provides a detailed history of the B-17's military and civil flying career and contains: - Legend of the Skies - Flying Fortress in Detail - The Fortress Could Take It - - Operational USAAF B-17 Bombardment Groups - In Glorious Colour - - Gracing The Nose - The World's Surviving B-17s - B-17 Variants & Development - - On the Silver Screen - Fortress Marketplace - Fortress Airfields - Containing an impressive number of illustrations, many of which are being seen in public for the very first time, this book will be essential reading for all who wish to learn more about this classic World War Two bomber.